You want to show your loved ones some love this Valentine's Day but are turned off by unoriginal gifts of red roses and heart-shaped candy? Don't worry! Check out our shopping guide for Valentine's Day gifts they'll actually want. Don't forget this special lady on Valentine's Day! This day isn’t just for people in relationships. Let your mom know how much you appreciate her with a thoughtful gift on the day of love. Is your mom a foodie? A goodie basket of the month is perfect for her to try out new food and recipes. You can sign her up for anything from cheese baskets to fruits on the month baskets. Mom deserves the best. Good diamonds are more affordable than you think. It's all about making a smart buy. Here's a little known fact – one of the best ways to save on diamonds is to buy them online. Why are diamonds so cheap online? A number of reasons but the main one is stores have a huge overhead. The rent or mortgage, the sales staff, the attractive display all adds to the markup on the price of the diamonds. Online retailers don't have these expenses, so they pass on the benefit to their customers. Most stores have a high markup of almost 100% to 200% on diamonds, while online retailers charge a 10% to 20% markup. So, go ahead and buy your mom something sparkly. These diamond studs feature 0.18 cttw. round diamonds in a simple prong setting. 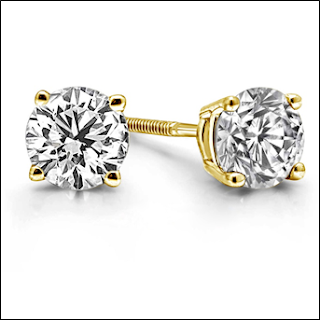 They make a wonderful gift because diamond studs never go out of style and they are great for all occasions. 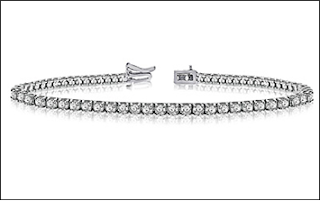 How about a classic tennis bracelet? This bracelet has 60 sparkling diamonds and is another wardrobe staple that every woman should have in her jewelry box. Check our diamond jewelry section for more options. We also have special Valentine's Day promotions going on to help you save – Check below. Not all women like a lot of 'bling', sometimes less is more. 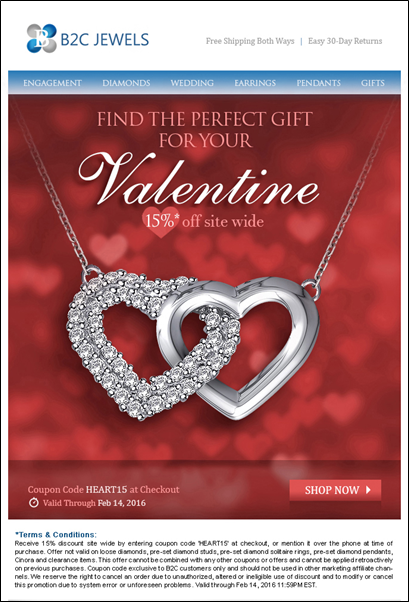 Choose Valentine's Day jewelry that your wife would love to wear any day of the year. 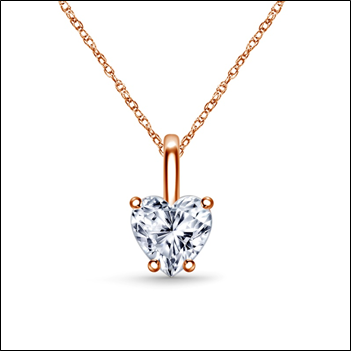 The dainty pendant on this diamond necklace is a fancy cut heart-shaped diamond secured with prongs. This necklace is also available in white gold. It is something your wife could wear to work or layer it with other necklaces for a style statement. The key to Valentine's Day jewelry that she will love is understated elegance. Be sure to use the coupon code below for a special Valentine's Day gift. Here's another subtle choice for Valentine's Day for your wife. 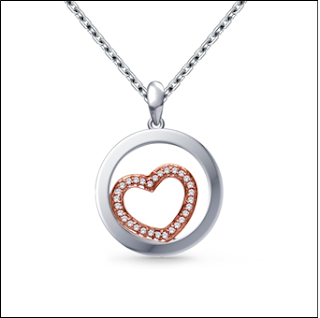 The delicate rose gold is set in a white gold circle and encrusted with 20 diamonds. If you want to give Valentine's Day jewelry without hearts, this diamond station necklace is a lovely choice. It has 10 diamonds in total and they are bezel set. So, you have got her the perfect gift but how do you plan on giving it to her? A lovely breakfast with all her favorites is a nice way of spending time on Valentine's Day and surprising her with the gift as most women expect the gift at dinner. 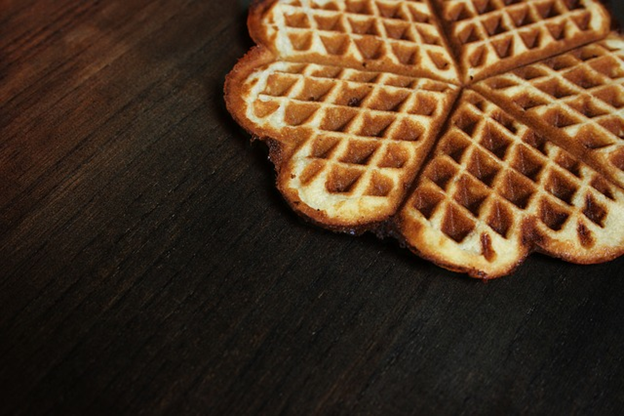 Bonus points if you make heart-shaped waffles or toast! Don't forget your friends on Valentine's Day. Whether you're happily single or blissfully in a relationship, Valentine's Day is also a great time to remember your girlfriends. 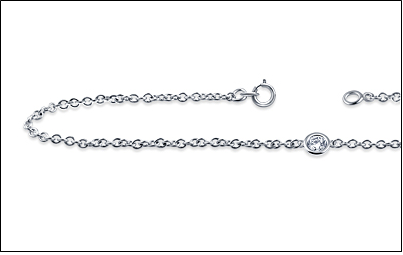 Your friend will love this subtle bracelet with single sparkling diamond. She can wear it to work or personalize it with charms for a girls night out. Instead of a preset bracelet, you can put together a bracelet for your friend. All you need is an unadorned bracelet and charms that you can add. Take a look at our section of charms to find something that will reflect your friend's interests. 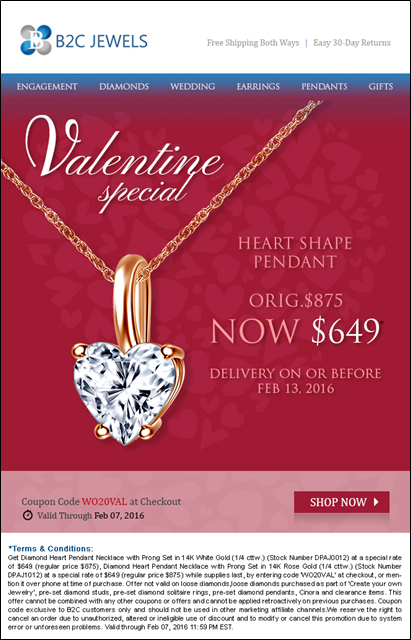 Birthstone jewelry is also a great choice for gifting your friends on Valentine's Day. The gift will be personalized and colorful. 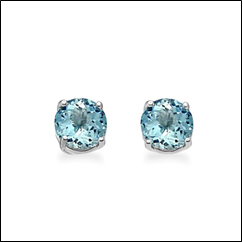 These aquamarine stud earrings are beautiful are perfect for girlfriends born in March. If you're spending Valentine's Day with your besties, how about gifting them an experience they will remember and love? 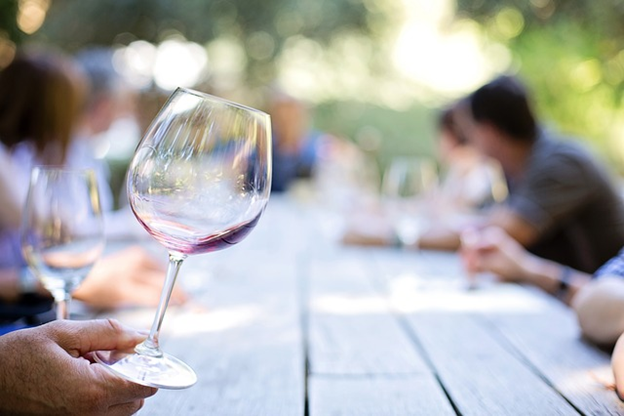 A wine tasting at a vineyard near you may be the best way to spend Valentine's Day! Dear hubby puts in a lot of effort every Valentine's Day so show him you appreciate it with fun gifts he'll love. Does he love his beer? 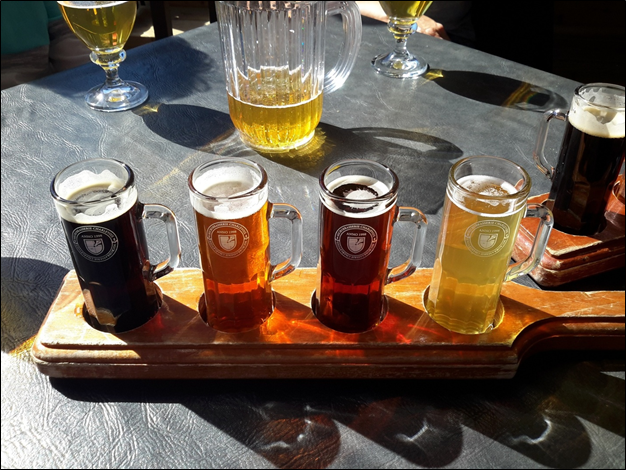 Gift him a tasting kit so he can try beers from around the world right at home. There are also whisky tasting kits if your guy loves his scotch. 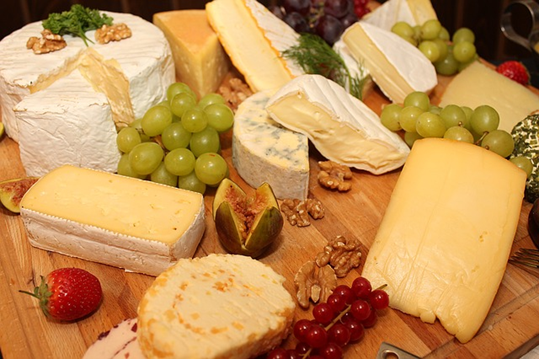 Let him indulge on the day of love. Has there been some gadget he has been talking about for a while now? Surprise him on Valentine's Day with that gadget he has been talking about. Important Note: Make sure you know what you're getting! 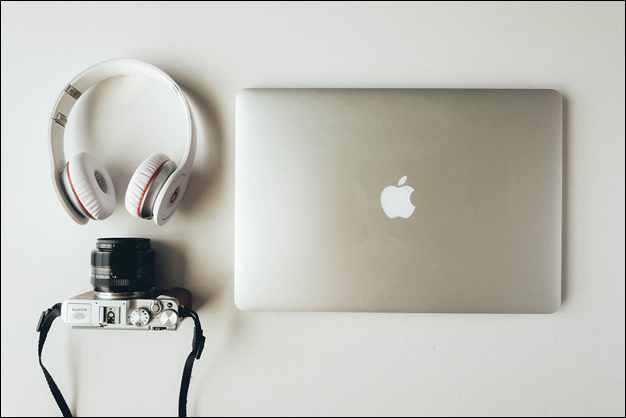 Gadgets come in various specifications and he probably has his heart set on one version. So, take along a friend who knows or look at sites he may have bookmarked on his computer. Be sure to buy it from retailers who have a return policy if he wants to change it for another version. Surprise your guy on Valentine's Day by giving him his own space! You can clear the attic, basement or even the backyard and make a space he'll love spending time in. It's very easy to do. All you have to do is clear away existing clutter or giveaway old furniture. Add a couple of comfy chairs, side tables and a small TV. 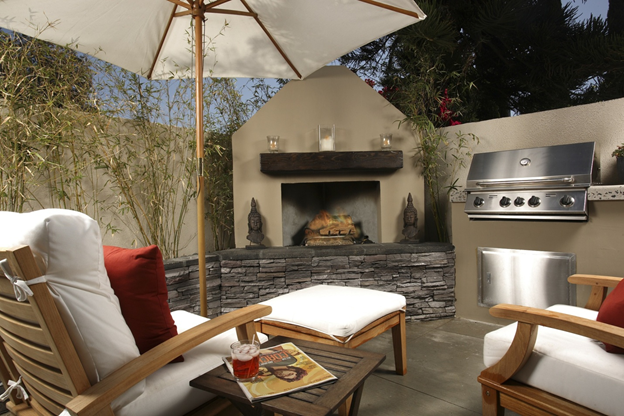 If you're setting up the man cave in the backyard, skip the TV and add a small grill instead. Don't let the kids feel left out in the Valentine's Day celebrations. Here are some cool gifts, they'll love. 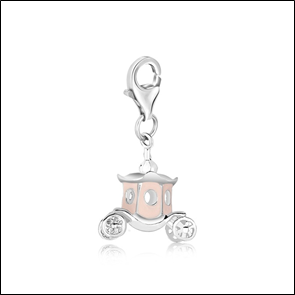 For your little princess, this royal carriage charm is sure to be a lovely gift. She can add it to a necklace or charm bracelet. 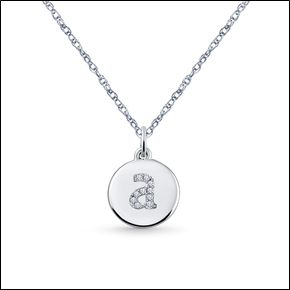 If you have a teenager, this dainty disc pendant with initial is a lovely choice. There are 10 diamonds in pave setting in this pendant. 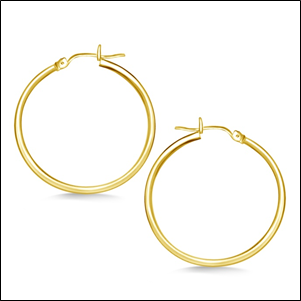 These gold hoop earrings are also a beautiful Valentine's Day gift for your daughter. Give your a little treat to celebrate Valentine's Day! 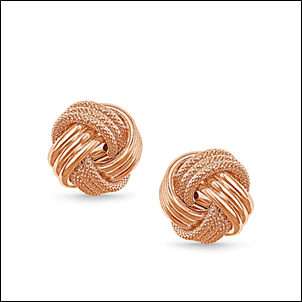 These beauties are made from 14K rose gold and feature a gorgeous love knot design. The earrings are just right for accessorizing a little black dress or even a work outfit. 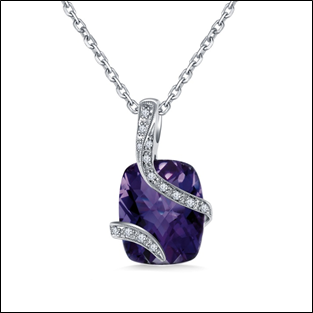 This amethyst and diamond pendant necklace is perfect for you if you want to add a little color to your wardrobe. The gem is cushion cut while the diamonds are pave set. 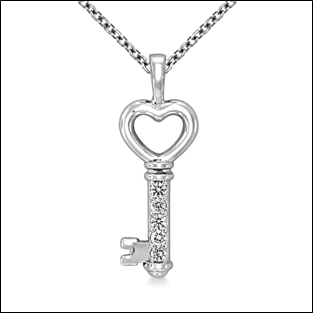 Perfect for gifting yourself on Valentine's Day, this key pendant has 5 sparkling diamonds. 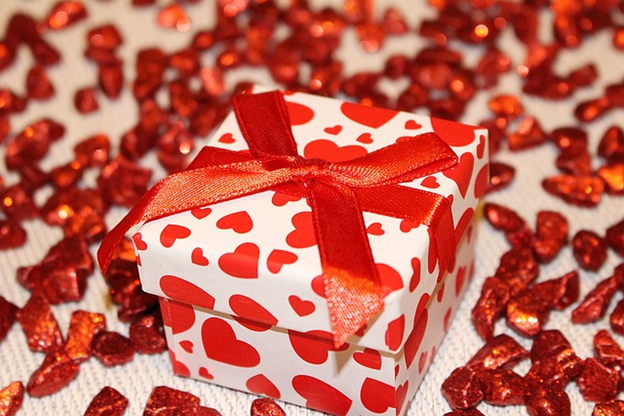 Have a lovely Valentine's Day with these wonderful gift ideas.